Picture this: you’ve just started a new business with a group of friends. You’ve decided on being a group of accountants. You’ve come up with a name, located a place to set up shop, and drawn out a business plan. There is just more thing to consider: how will you manage your business practice? In the very distant past, humans in Assyria would keep track of communal transactions through the ancient method of clay tablets. In 1494, Benedetto Cotrugli invented the double entry bookkeeping process, whereby all transactions are recorded in a minimum of two accounts. Additionally, each transaction is split into two columns. The benefit of this system is that record keeping is more accurate in larger organizations. With the advent of computers, software like Sage One Accounts streamline the process even further, save space, and provide a simpler user experience. The program is intuitively designed to guide you along every step of the way. No prior knowledge of accounts is necessary. All reports are easy to understand and contain calculations of how they were created. There are no limits on how many invoices and transactions you can record. This saves the need to move to other software as your business expands. Creating professional invoices, e-mailing to customers, and tracking outstanding invoices can all be done with the click of a button. “Sage Pay” is a function that allows customers to pay quicker, thereby saving time for the accountants to chase up unpaid transactions. 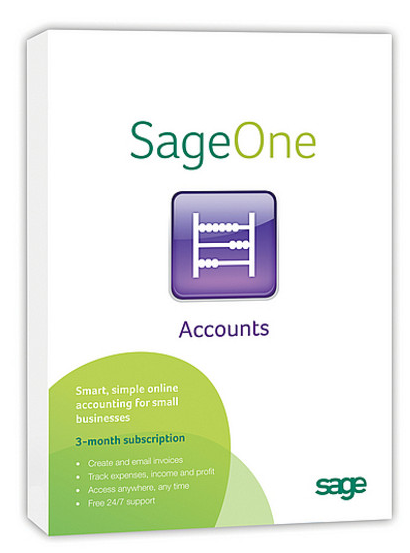 Sage One Accounts is an online software, allowing the user to gain access to it from wherever they are, and on any computer. Data is stored through an online server (like Dropbox) and can be recovered easily when logged onto Sage. Keeping an idea of how the business is faring out could not have been any easier. Each sign in to Sage One will display a snapshot of business performance on the summary screen. Bank balance, top customer invoices, and profit and loss figures are all available for the eye to see. With Sage Online Accounts, accountants will be given an automatic VAT calculation with every transaction entered. VAT returns can be reconciled and submitted to HMRC through the Internet. – Cheap. 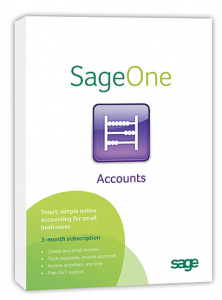 At a basic £12 per month, Sage Online Accounts is affordable when concerning smaller businesses. – Available to Mac. You may not be a Mac user, but the more chic Apple consumers will be delighted by Sage’s online compatibility with MacBooks. – iPhone and iPad users are able to use Sage Online Accounts, adding more flexibility to startups on the move. – A 30 day trial is available to quickly get an idea of how the software works. – Very basic. Intended mostly for smaller businesses. – Limited functionality compared to Sage 50 accounts (which is one of Sages well known desk top solutions). – You can’t do multiple company accounts. – Sage One Accounts does not include foreign currency, sales order processing, or purchase order processing. £10 per month, plus £2 VAT. Can be purchased after 30 day trial.